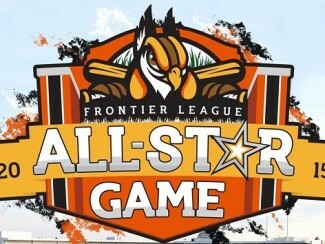 2015 CWL Instructors – James Frisbie (Rockford Aviators) and Dan Rohn (Traverse City Beach Bums) – were recently named the managers for the 2015 Frontier League All-Star Game. Joining both mangers as assistant coaches are CWL instructors A.J. Cicconi and Vinny Ganz. Their excellence managing their respective Frontier League teams this season earned them the rights to manage the best talent from the Frontier League this season. Both managers represent the elite level of instruction players in the California Winter League receive when they are a part of the CWL. 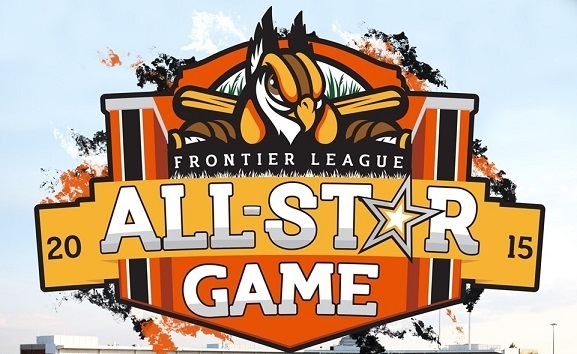 The Frontier League is proud to announce the 2015 Frontier League All Star Game managers and coaching staffs. The 2015 West All Star Team will be lead by Rockford Aviators’ Manager James Frisbie, while Traverse City Beach Bums Manager Dan Rohn will manage the East All Star Team. This comes after both managers’ teams’ clinched sole possession of first place at the All Star Break. Frisbie is in his 2nd full season with the Aviators after being named the manager in June of the 2013 season. A native of Kent, WA, Frisbie began his coaching career in 2002 after 4 years of playing professionally in Independent League baseball from 1998-2001. Throughout his coaching career, Frisbie has served mostly as a pitching coach with several teams throughout Independent Leagues before his first managing position with the Bradenton Juice of the South Coast League. Frisbie has also served on the coaching staffs of the Rio Grande Valley White Wings and the Jackson Senators of the Central Baseball League, the Chillicothe Paints of the Frontier League, and the Coastal Bend Aviators and Fort Worth Cats of the American Association. Joining Frisbie as members of the West Teams’ Coaching Staff are Jeff Brooks and John Foster of Rockford; Brooks Carey from the Normal CornBelters; and Jamie Bennett, Cam Roth, TJ Nall, and Derek Shomon of the Schaumburg Boomers. The West Teams’ Athletic Trainer will be Kyle Watson, also from the Schaumburg Boomers. Rohn brings 25 years of baseball coaching experience to the East All Stars. Rohn began his coaching career in 1990 as the hitting coach for the Portland Beavers, the Minnesota Twins’ Triple-A affiliate. Prior to coaching, Rohn spent 13 seasons playing professional baseball including 3 different stints in Major League Baseball. Throughout his career, Rohn has served time with several different teams in many different facets of the game. He is also a 4 time Manager of the Year award winner, winning once in the Double-A Eastern league and three times in the Triple-A Pacific Coast League. Rohn is an Alpena, MI native and is in his second season as manager of the Beach Bums. Assisting Rohn on his coaching staff will be Greg Cadaret of Traverse City, Vinny Ganz of the Frontier Greys, and A.J. Cicconi of the Florence Freedom. Mark McIntire of Traverse City will serve as the East All Stars’ Athletic Trainer.